Join Rogers Media as they share the learnings from a first to market data enabled audience based TV execution in Canada. In the current climate of Broadcast Television there is increasing pressure to find ways of targeting unique audiences and measuring the effectiveness of the mass reach medium. Volkswagen and Touché in partnership with Auto Trader and Rogers Media utilized Auto Intender audience segments to execute a data enabled TV campaign and measured lift through verified vehicle sales that were tied back to TV audiences. Time: 11:30 a.m. – 12:30 p.m. E.T. Rose Hutchinson has been Head of Programmatic Trading and Data Ad Solutions at Rogers since 2015. Rose oversees all of Rogers Media’s national programmatic and data advertising sales and is responsible for the evolution of traditional direct sales to automated transactions. 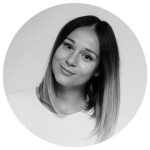 She oversees training, new product development and partner management, in addition to managing a dedicated programmatic and data sales team.